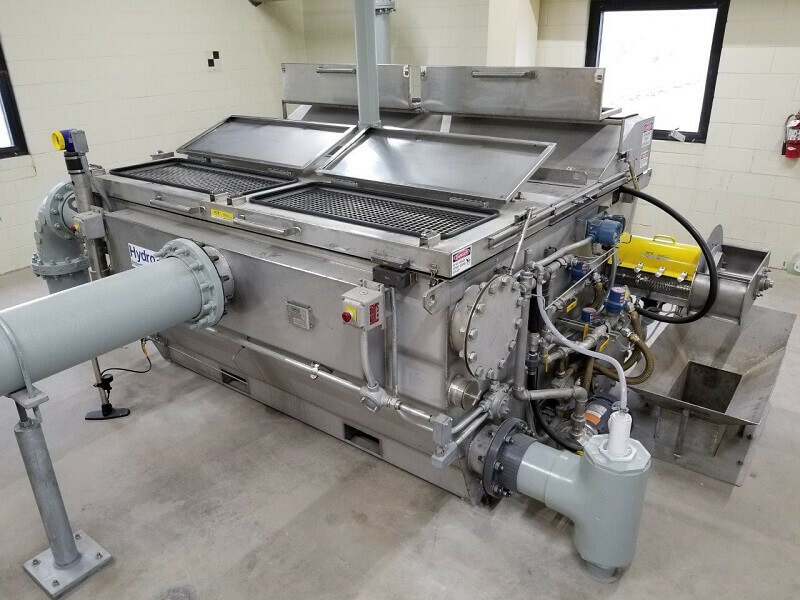 The Hydro MicroScreen™ is a low-energy, small-footprint rotating belt screen that delivers exceptional solids removal from industrial process water and wastewater. Maintaining efficiency even at peak design flow rates, it enables operators to meet discharge requirements, increase efficiency and save money. 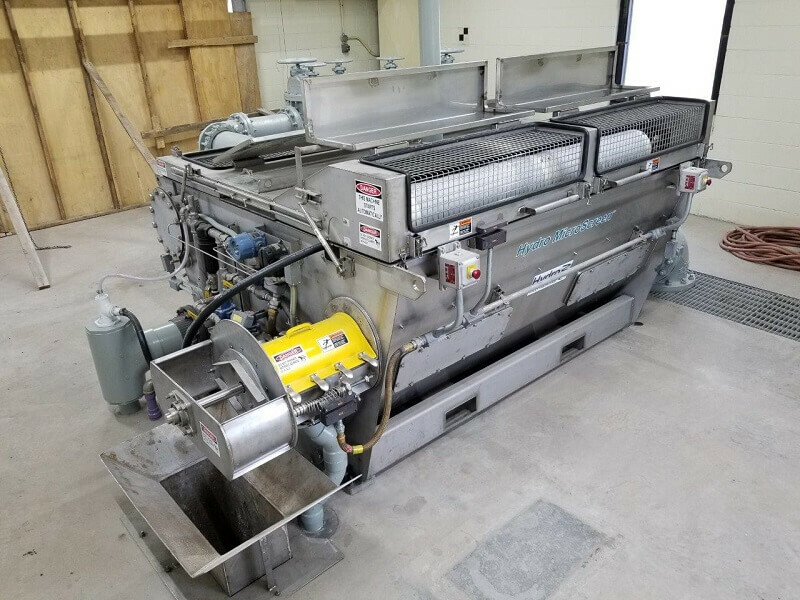 The Hydro MicroScreen™ is a low-energy, small-footprint rotating belt screen that delivers exceptional solids removal from both municipal and industrial process water and wastewater. Maintaining efficiency even at peak design flow rates, it enables industrial and municipal operators to meet discharge requirements, increase efficiency and save money by cutting energy and chemical use, minimizing maintenance costs, reducing solids handling and recovering materials to be recycled or reused, converted into energy or sold on. Download the municipal Hydro MicroScreen™ brochure here. 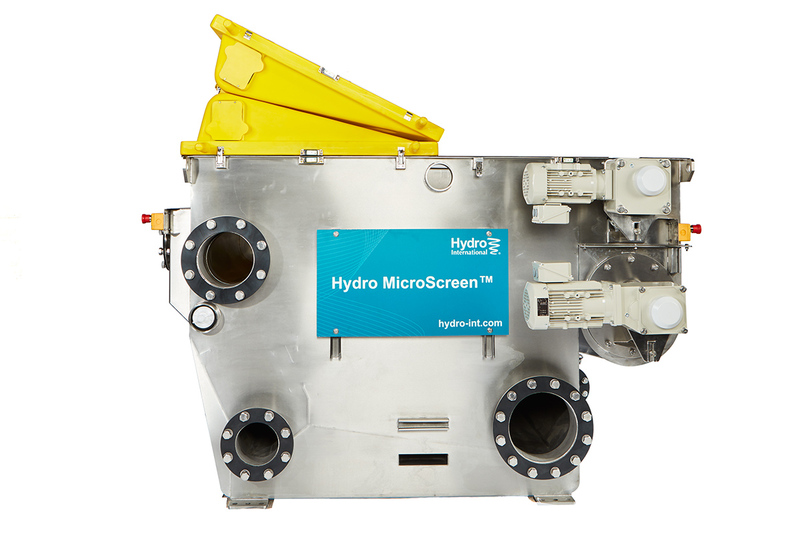 Download the industrial Hydro MicroScreen™ brochure here. Our teams will be happy to run a pilot trial at your facility to demonstrate the effectiveness of the Hydro MicroScreen™ on your specific process. The Hydro MicroScreen™ is a low-energy, small-footprint system that provides economical treatment in a small space. With a footprint between 43 and 108 sq ft and energy demand of between 2.5 and 7.0 hp, it saves up to 50% on energy use and up to 90% on footprint compared to conventional primary treatment technologies. Maintenance of a conventional primary clarifier is a costly, lengthy and hazardous process. By contrast the Hydro MicroScreen™ is a small, accessible unit that can be cleaned and maintained quickly and easily – minimizing maintenance costs and reducing costly system downtime. A two-unit system provides dual redundancy, eliminating system downtime during maintenance altogether. By reducing the load placed on downstream systems and processes it also prolongs downstream equipment lifetimes and reduces the downstream maintenance burden. Hydro MicroScreen™ screens and captures industrial process material and by-products at high removal rates. 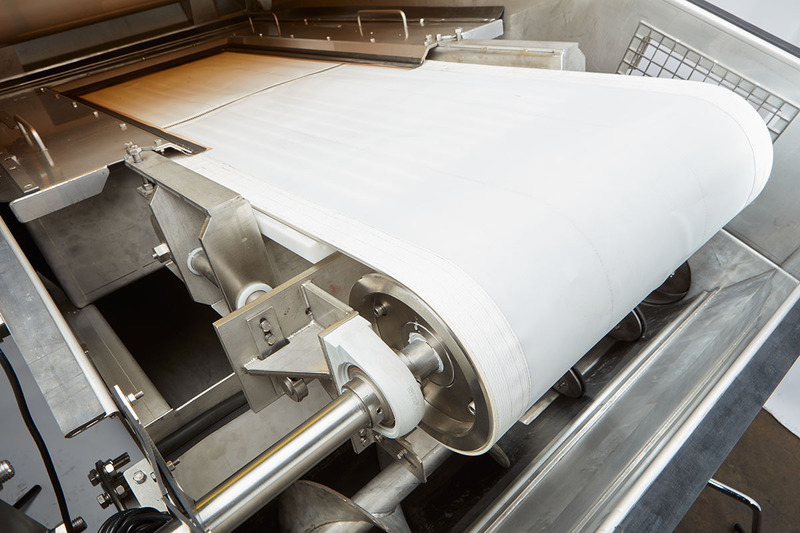 This captured material may then either be returned to the process chain, minimizing waste and increasing operational efficiency, or used to offset costs by converting it into energy or selling it on to secondary markets. For municipal customers, it provides the option of receiving septage or FOG, providing a valuable potential revenue stream to offset costs. With dewatering section and compression zone, Hydro MicroScreen™ produces up to 50% total solids – without the use of chemicals. 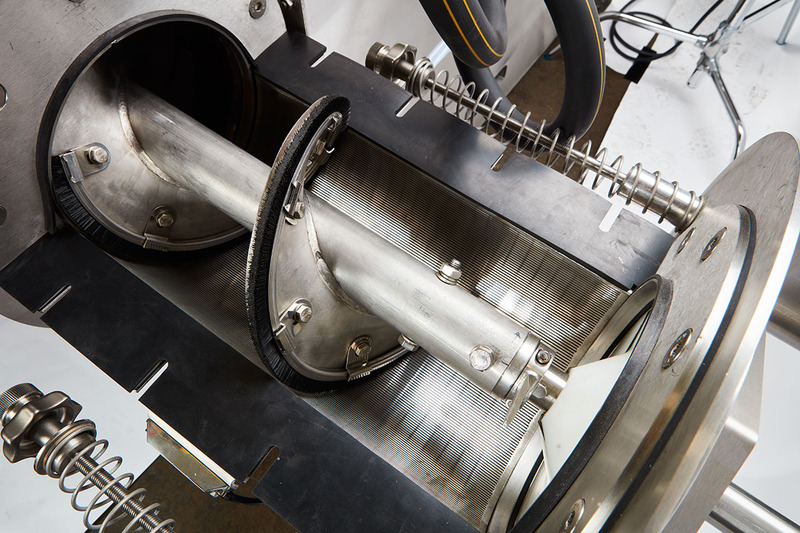 This increases the efficiency of solids handling, cutting the cost of transport and disposal. Flow enters (either pumped or via gravity) and hits an energy dissipation plate and flow diverter. The diverter evenly distributes the influent over the entire width of the screen. As solids build up on the screen they create a mat, which causes the water level in the influent cavity to rise. An ultrasonic sensor allows liquid level monitoring of the influent cavity. Once the water level reaches a programmed set point the screen begins to rotate upwards and screening begins. Depending on the inlet solids loading and volume of water the screen automatically adjusts from 0 to 21 rpm. As the screen rotates, solids are lifted out of the influent cavity while the cleaned screen is reintroduced at the bottom of the inlet cavity. 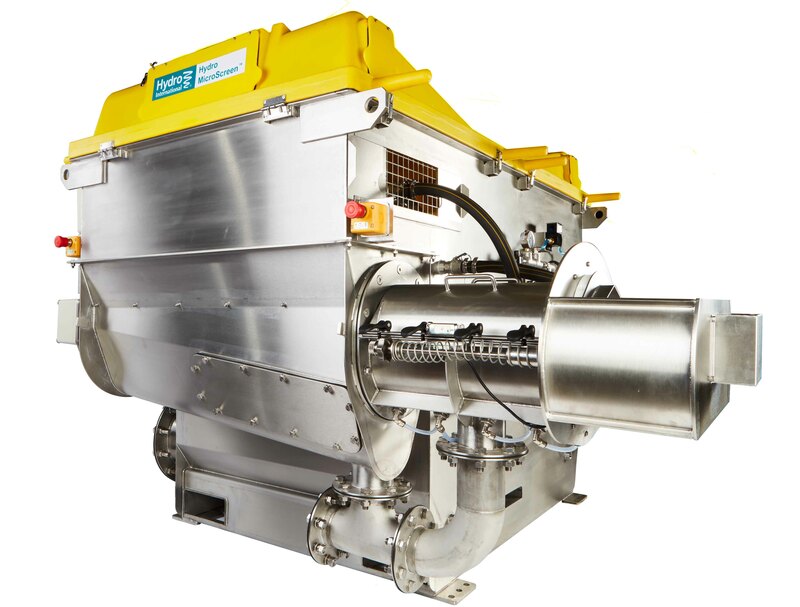 The collected solids are conveyed to the dewatering section for further compaction - the Hydro MicroScreen™ produces up to 50% dry solids when fitted with a dewatering section and compression zone - which is isolated to protect the screen and lower roller from settled debris. 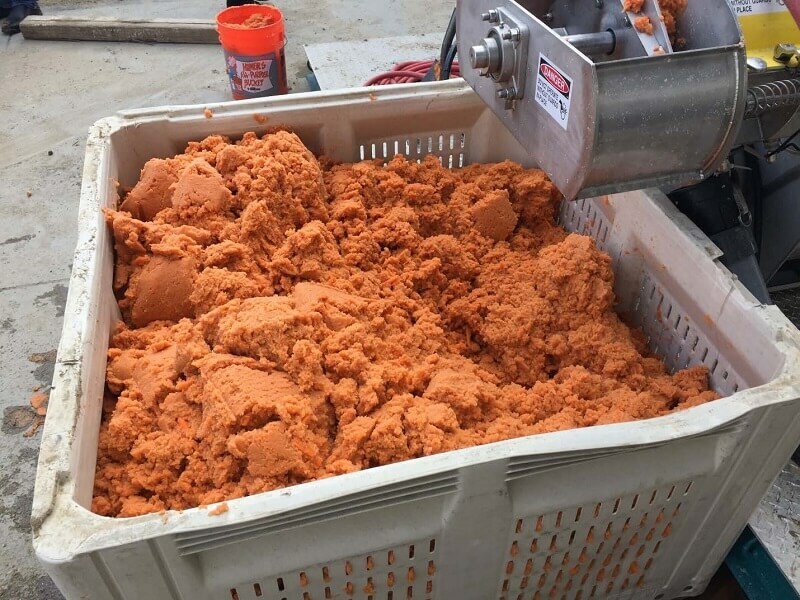 Cleaning the mat off the screen is simple: most of the material falls into the dewatering auger section by gravity, while any remaining solids or grease are removed by internal wash water at 550-689 kPa (80-100 psi), which is followed by a scraper blade. Download our free industrial water treatment plan to learn about how water treatment and reuse can help improve ROI. A.Yes – the energy value of solids removed is equivalent to wood chips at 3,800 kJ/kg (8,000 BTU/lb) dry basis, and the high ratio of volatile solids to fixed carbon indicates good reactivity in thermal processes. A.The Hydro MicroScreen™ offers a hydraulic capacity of up to 545 m3/h (2,400 GPM). A.At one municipal wastewater treatment plant with an average flow of 126 m3/h (0.8 MGD) and influent BOD and TSS of 250 mg/L, reductions in the cost of electricity, sludge hauling and disposal, operational and maintenance labor, estimated operational cost savings resulting from the installation of one Hydro MicroScreen™ amounted to over £26,000 ($38,000) per annum. A.An operational testing program at more than a dozen US wastewater treatment plants demonstrated effective TSS removal at over 80% on average, and BOD removal at over 55% on average. 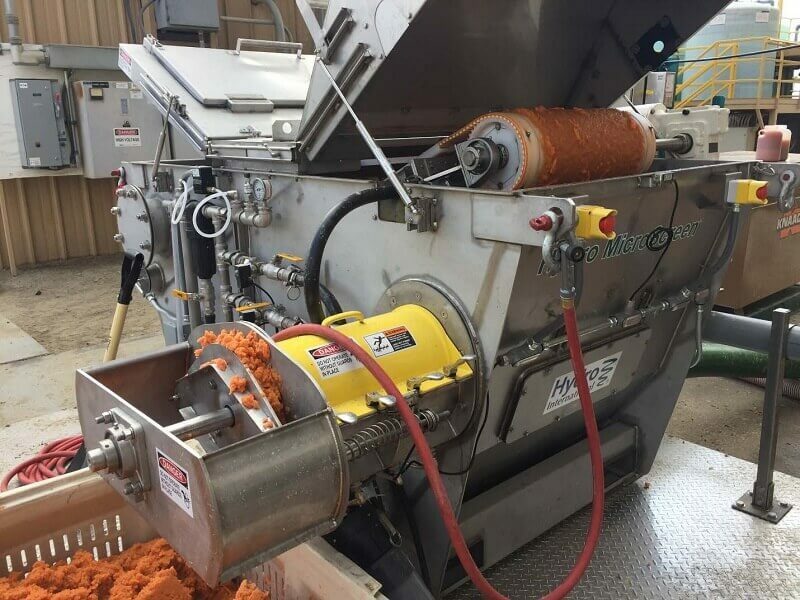 A.Operational testing at industrial facilities including food processors, wineries and tanneries demonstrates that the Hydro MicroScreen™ removes TSS, VSS, BOD, COD and FOG effectively. TSS removal rates of over 90% were observed, with removal rates at over 75% for BOD/COD, 90% for FOG and 50% for VSS.